Meb Keflezighi, the four-time U.S. Olympian and winner of the 2009 New York City Marathon and 2014 Boston Marathon, completed his last 26.2 distance as a professional runner in 2017. That marathon, fittingly his 26th, was also in the Big Apple. 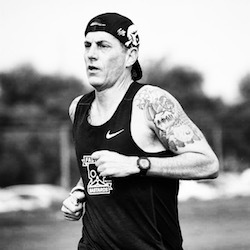 He finished in 11th place in 2:15:29. “The marathon, you can’t act it. From Mile 1 all the way, you have to get there somehow. That’s what life is. I hope I’ve been a good ambassador of the sport,” he said of his storied career. 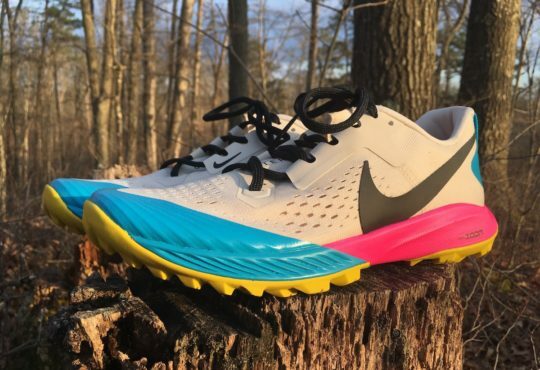 Though Meb is no longer running professionally, his involvement in the sport of running will continue as he leads the MEB Foundation – and presumably be helping Skechers design running shoes. 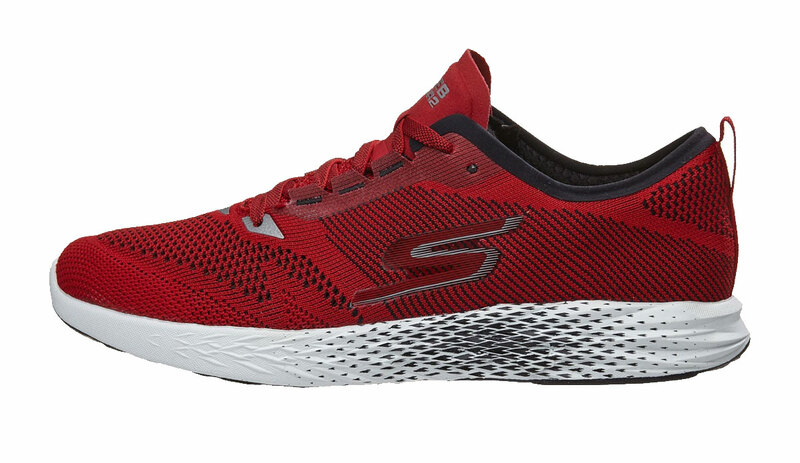 I was first introduced to the Skechers Performance division in 2017, which includes the GOmeb Razor, GOmeb Speed, GOrun, GOrun Forza, and GOrun Ultra. I reviewed the first Razor last January, which Meb uses as a daily trainer. Version two is now available, and the revisions are solid. 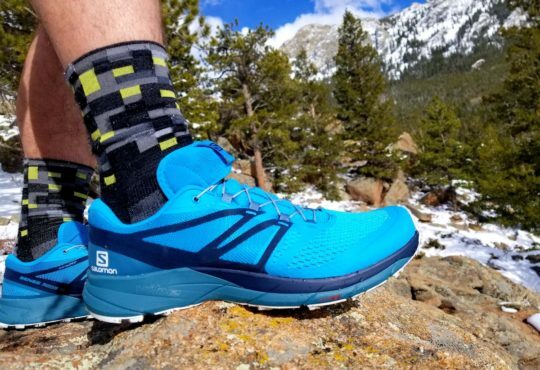 As Meaghan said in our joint review last January, the Razor “a perfect mix of the GOrun and GOspeed.” This assessment is an accurate synopsis of the Razor 2. In other words, it will accommodate daily training as well as workouts. The Razor 2 stack height is a slight variation of the original with 20 mm in the heel and 16 in the forefoot – but the total weight of the shoe dropped .9 ounces (7.7 to 6.8). I attribute this to less material in the upper, notably the tongue and around the heel collar. The Razor 2 uses a FLIGHT GEN midsole, a change from the 5GEN midsole utilized in the first Razor. As to how this translated from a ride standpoint, both models felt roughly the same underfoot, firm and responsive, though I will say the Razor 2 feet slightly softer. 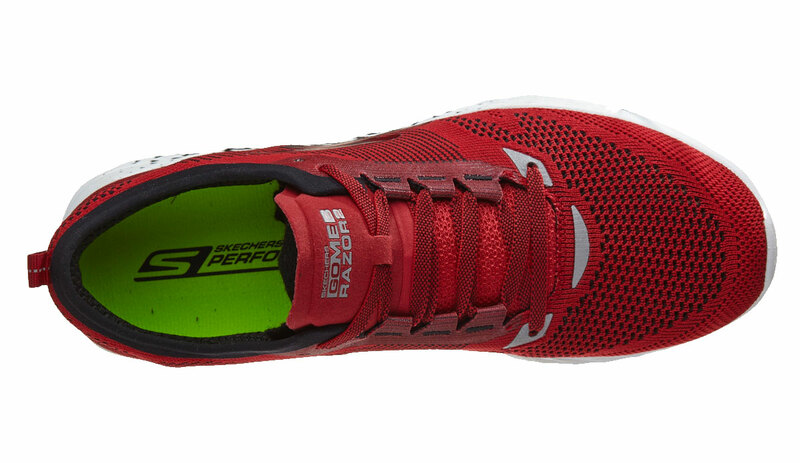 The Razor 2 also retains the GOknit upper to enhance comfort and increase breathability. 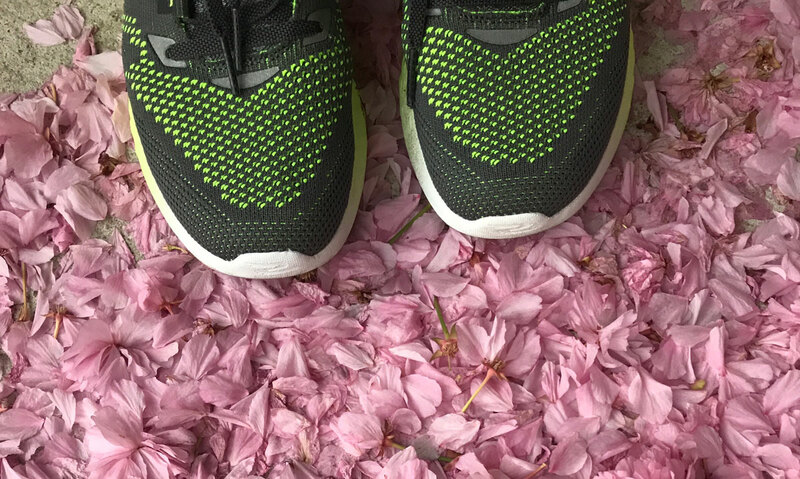 Likewise, the outsole is a webbed pattern with rubber strategically placed around the heel and forefoot to improve traction and provide a protective covering for the midsole. 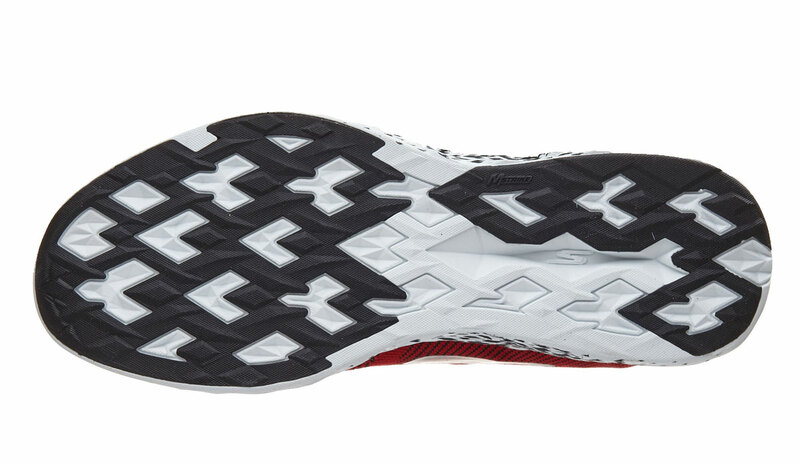 I’d love to know if other runners like me are noticing this, but between the Razor 2 and Saucony Liberty ISO, another model I’m regularly using right now, the thin tongues are creating pain on the top of my instep where the top laces cross over. What’s more, loosening the laces tends to make the shoe feel sloppy. Sock changes (i.e., thicker ones) and lace hacks might be what resolves my only critique of the Razor 2. I’m all for lowering shoe weight, but I’d prefer it be done in places besides the tongue of the shoe. 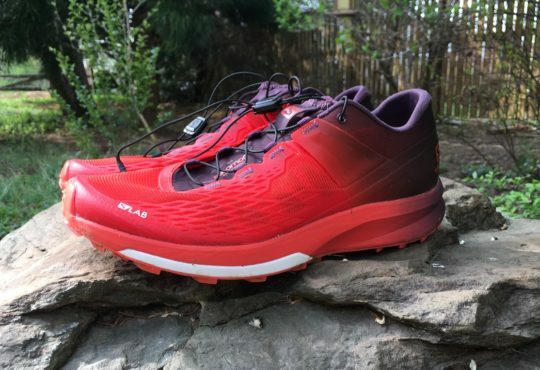 Along with the original Razor, I also reviewed the GOrun 5 last year. The GOrun is still my favorite among the two as the ride is slightly softer, but the Razor 2 boasts some robust updates. 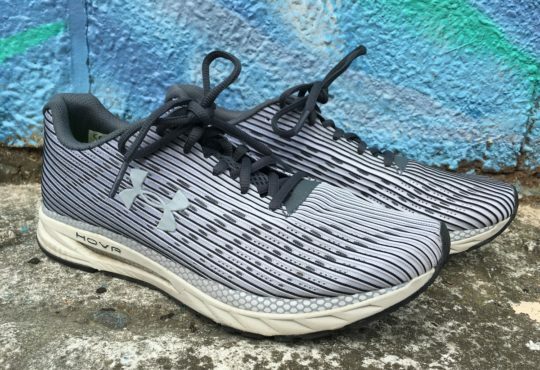 A weight reduction, retooled midsole, and improved upper will make for many enjoyable miles. 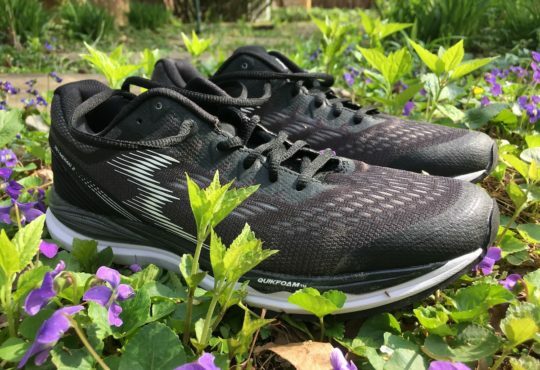 In February of 2016, Competitor ran an article about Skechers extending their contract with Meb until 2023. Meb being on board presumably means more iterations of the Razor, along with any other new models the company and the Olympian can dream up and successfully bring to market. 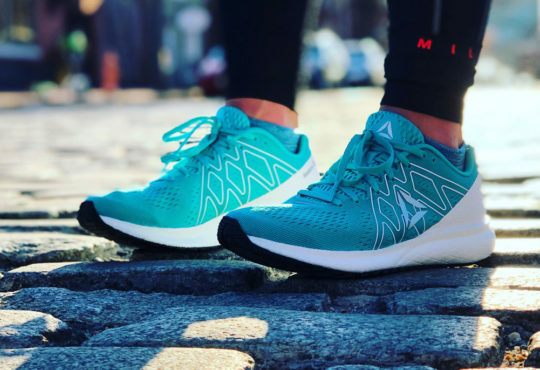 “They [Skechers] know what it means to be a partner and working with the brand to help create the best running shoes possible has been a rewarding experience,” said Meb of the partnership. As runners, we will surely benefit from Skechers Performance shoes – with Meb’s imprint – that emerge from the lab in the years to come. Purchase the GoMeb Razor 2. How does the shoe fit in the toebox? I remember hearing the original Razors were fairly wide, but Running Warehouse says these are narrow. Seems like Skechers has been getting more narrow as time goes on. It might be a little more narrow, but I still have to sinch up the laces until it puckers. Commenting on the tongue , I have an exceptionally high instep and arch, and I get hot spots on the top in that location regularly. What I’ve found to help the most on my shoes with a really thin tongue or that are low volume (my marathon racer, Newton Distance V, is both) is to skip the lace eyelets over the hot spot. I still get a snug fit everywhere else, it just allows my foot and the shoe to relax a little over the instep where t he hot spot occurs. On a seperate note, I have and like the Razor 1 well enough, but found the outsole rubber to begin tearing and breaking down (chunks missing) after just 40 miles, so I’m skeptical of buying another pair if the same outsole compound is used. I typically expect to see 1-200 miles before this happens. I still use ’em, but mostly on cross train days, as I try to extend their life.